Anyone who has studied the Ontario Liberal government’s failed experiment with wind power knows what a financial and social catastrophe it has been. How billions of taxpayers’ and hydro customers’ dollars are being wasted, and will continue to be wasted for decades to come, because of former Liberal premier Dalton McGuinty’s naive blunder into wind energy, now fully supported by Premier Kathleen Wynne. How it has contributed to skyrocketing hydro bills and to the loss of 300,000 manufacturing jobs in Ontario. A 2011 report by then auditor general Jim McCarter documented how the government rushed into wind energy without any business plan, ignoring even the advice of its own experts that could have substantially reduced costs. As a result, Ontarians are now locked into 20 years of paying absurdly inflated prices for inefficient and unreliable wind power, which, ironically, still has to be backed up by fossil fuel energy, meaning natural gas. That means the Liberals’ gas plants scandal, costing taxpayers and hydro ratepayers up to $1.1 billion — according to reports by McCarter and current Auditor General Bonnie Lysyk — is also part of the Liberals’ legacy of wind power waste. Indeed, while the Liberals were telling us they were replacing coal power with wind and solar energy, they were actually doing it with nuclear power and natural gas. Wind can’t replace coal because it can’t provide base load power to the electricity grid on demand. That’s why the Liberals were frantically building new natural gas plants, even as they were imposing, and continue to impose, unwanted wind turbines on rural communities across Ontario. McGuinty cancelled the locally unpopular Mississauga and Oakville gas plants to save five Liberal seats in the 2011 election, which we now know could cost up to $220 million per bought riding in public money. A new documentary, Down Wind: How Ontario’s Green Dream Turned into a Nightmare, by Sun News Network’s Rebecca Thompson — airing Wednesday, June 4 at 8 p.m. and 11 p.m. — powerfully and succinctly explains the enormity of the Liberals’ wind power catastrophe. The Surge Media production explains we are wasting and will continue to waste, billions of public dollars for a non-existent environmental benefit — the Liberal myth that wind and solar power replaced polluting coal-fired electricity in Ontario. Thompson compellingly tells the story of how an unholy alliance of Liberal government insiders, wind industry developers, so-called environmentalists and Bay Street investors worked hand-in-glove to impose wind turbines on unsuspecting farming and rural communities across Ontario. How those who tried to fight back were and are being crushed by the Liberals’ dictatorial Green Energy Act, which took away the planning rights of local municipalities. 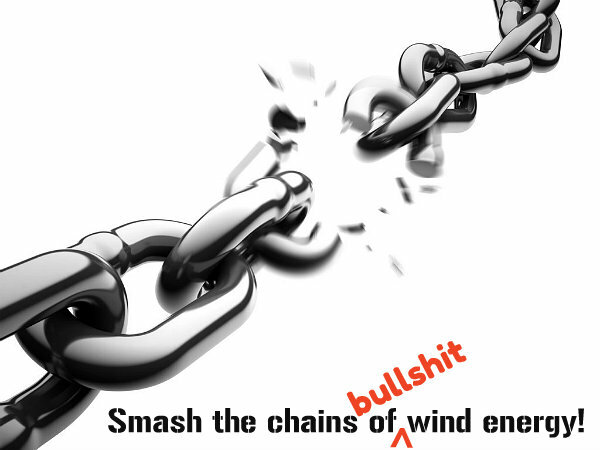 How we don’t need the tiny amount of expensive and unreliable power wind supplies, both because Ontario has a huge energy surplus and because wind developers have to be paid for their energy first, while we dump or export inexpensive and green hydro power at a loss. How the reported health concerns hundreds of affected residents have experienced because of the sound, vibration, low-frequency noise and shadow flicker from wind turbines — up to 50-storeys high, many located just 550 metres from homes — have been suppressed by the government. The most powerful footage in Down Wind comes from ordinary Ontarians — some forced to leave their homes — telling their stories, often reduced to tears, bitterness and anger. How on one day they were living peaceful lives in rural Ontario and how, almost overnight, were plunged into a nightmare, as wind companies turned neighbour against neighbour by leasing the land of some property owners to erect turbines, while running roughshod over the concerns of everyone else. To me, Ontario’s wind power disaster has always been a story of urban greed, ignorance, arrogance and phony environmentalism overpowering rural interests. Of smug, trendy, hypocritical Toronto downtowners — Wynne’s core constituency — whose experience with wind turbines is limited to one at the CNE — ignorantly accusing rural communities of NIMBYISM (as did McGuinty). Down Wind exposes all this along with the scariest reality of all. That the Liberals have gone too far to ever admit they were wrong, and that if we re-elect them, they’ll double down on their wind energy disaster. Protesting with, “Not in ANYONE’s Backyard” is much different than NIMBYism! So many intelligent, wonderful professionals and citizens are fighting this fight, for the health and safety of rural residents! Those who are wanting these turbine power stations erected need them proposed for 1150 feet from their residence, like our proposed project/looming disaster. Lord, have mercy on those from Ontario who have experienced so much loss and pain. Expose the lies, the greed, more and more. Bring justice, healing, hope, redemption, and wisdom!